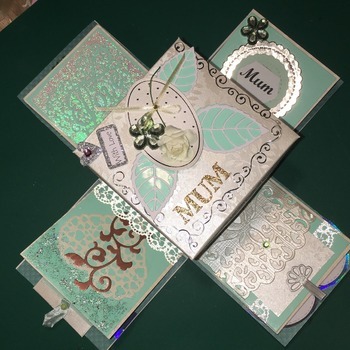 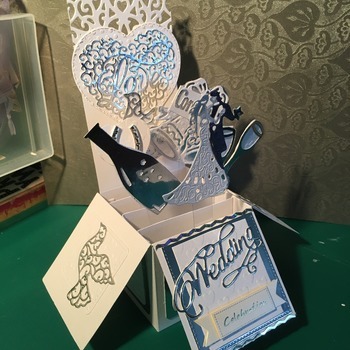 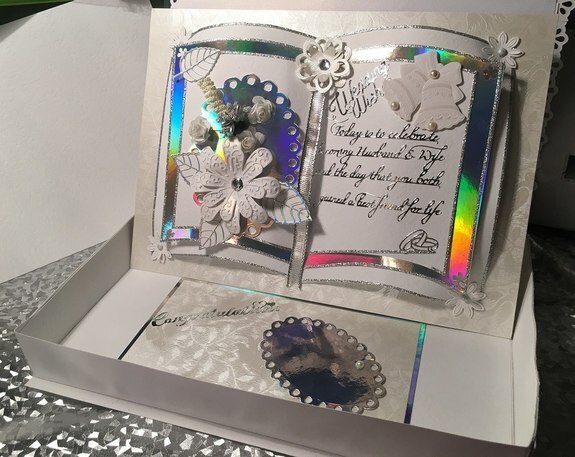 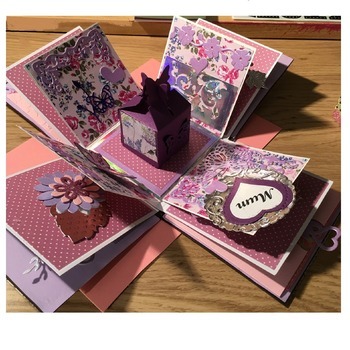 This Gorgeous Handcrafted Wedding card will make any couples day - such a beautiful card.This is in the form of an open book and has the verse and die cut bells on the right-hand page and an embellishment of leaves and flowers on the left. 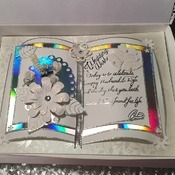 The second page which borders it is done in rainbow mirror card and sets it all off beautifully. 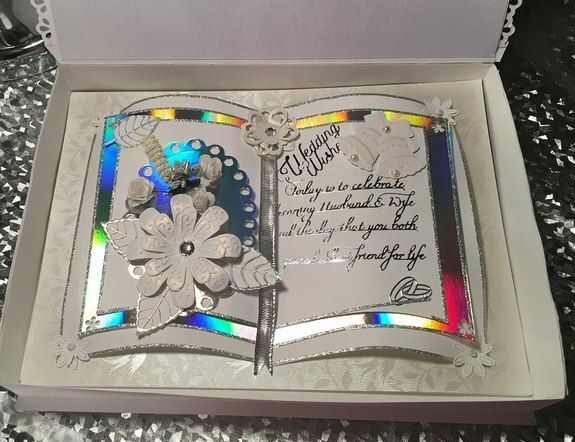 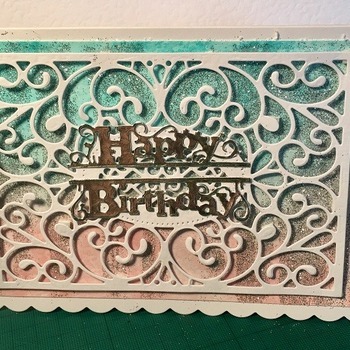 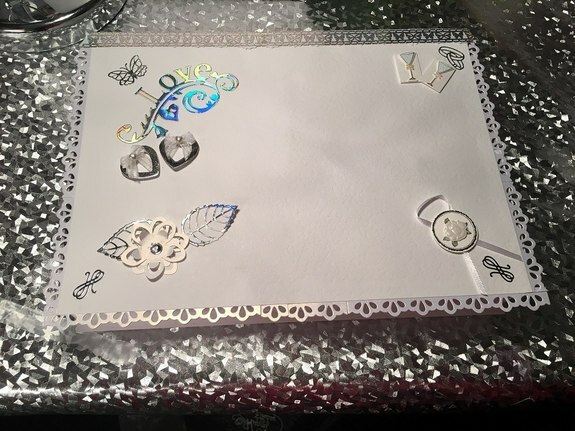 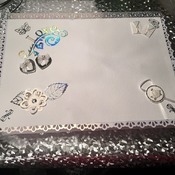 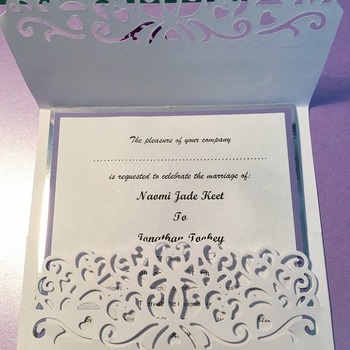 The card comes in its own handmade lace edged box which is also embellished with various die-cuts, ribbons and flowers. 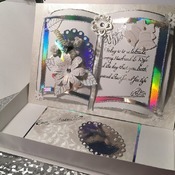 Cards can be commissioned to your requirements please don't hesitate to message me.